Rice comes in thousands of varieties, but the most commonly used are brown and white. Which one is healthier? Let’s take a look at the brown rice vs. white rice debate. The two most popular types of rice are long-grain brown and white. Both are delicious, versatile, and economical forms of nutrition. Plus, they’re gluten-free, so they can be consumed by people with celiac disease and gluten sensitivity. September is National Rice Month in the United States, a time to celebrate the harvest of one of our favorite grains. Rice is a grain commonly consumed all over the world. Nearly half of the planet’s population consumes rice daily. There are more than 40,000 varieties of rice, and it ranks as the world’s second-highest-produced crop, right after corn. The two most popular types of rice are long-grain brown and white. Both are delicious, versatile, and economical forms of nutrition. Plus, they’re gluten-free, so they can be consumed by people with celiac disease and gluten sensitivity. But which one is healthier for you? Let’s take a closer look at brown rice vs. white rice. First, a little history. The origin of rice goes back thousands of year to as early as 2,500 BC, according to the University of California at Davis. First cultivated in China, rice later spread throughout Sri Lanka and India. For about 3,500 years, rice also was grown in Africa, but its cultivation there declined as Asian species were introduced. Rice was introduced later in Middle East, Europe, America and Australia. Rice is an especially useful crop because it can grow in all sorts of climates and conditions, from wet and flooded areas to desert regions. While white rice is lower in calories, fat, and carbohydrates, brown rice has more protein and fiber. Brown rice also contains more magnesium and zinc, but white rice contains more iron. So, is brown rice or white rice better for you? White rice is enriched with B vitamins and iron. White rice takes less time to cook because it is stripped of its bran and germ. White rice lacks dietary fiber. People with diabetes should avoid white rice because it can rapidly increase the sugar levels in their blood. Studies have shown that compared to brown rice, eating white rice increases the risk of developing diabetes. Brown rice takes twice as long to cook than white rice. One important factor to consider is that rice sometimes is contaminated with arsenic, a heavy metal that the grain absorbs from the ground as it grows. 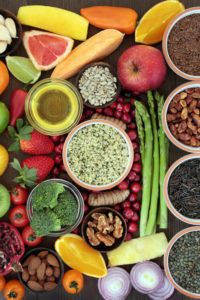 While an organic form of arsenic is naturally found in plants and animals, health experts are more concerned about the inorganic form, which is more toxic and may cause cancer, vascular disease, hypertension, type 2 diabetes, and heart disease. The inorganic form of arsenic is often found in the bran portion of the rice grain; therefore, brown rice contains slightly more of it than white rice. If you consume rice occasionally, your risk of exposure will remain low. However, those who eat rice and rice products on a daily basis— people following a gluten-free diet—are at a higher risk. Choose white or aromatic varieties of rice, such as jasmine or basmati, over brown rice. Always rinse rice before cooking. Avoid rice that is grown during the dry season. Choose rice that is grown in the Himalayan region. Children and pregnant women should consume limited portions of rice. For more information about arsenic, check out our posts 4 Worst Heavy Metals for Your Heart and Is Arsenic in Wine a Cause for Concern? Boil it. Long-grain rice is believed to be best for boiling or used in pilafs. When making boiled rice, it’s important to treat it like pasta. After adding rice to the boiling water, always stir right away so it doesn’t stick to the bottom. White long-grain rice takes about 12 minutes and for brown long-grain rice it takes about 35 minutes. Bake it. Preheat the oven to 325 degrees. Butter a 2 1/2-quart baking dish and pour rice into the prepared baking dish. Stir water, butter, and salt in a saucepan and bring to boil. Bake in preheated oven until the water is absorbed and the rice is tender (20 to 25 minutes). Steam it. Bring water to boil in a medium saucepan. Stir in white rice and salt. Reduce heat and simmer covered for about 16 minutes. Remove from the heat and let stand covered for 10 minutes. Cook it in the rice cooker. The best kind of rice to cook in the rice cooker is short-grain sticky white or brown rice. Follow the instructions that come with your rice cooker. Microwave it. Cooking rice in the microwave may save you time, but it can also affect the flavor and texture. Also, not every microwave cooks food at the same rate. Drain and rinse the beans and put them in a medium sauce pan and cover with water. Bring to a boil at high heat, once the water is boiling reduce the heat to simmer. Add 1 tablespoon of chili powder, 1 teaspoon cumin, turmeric, and ground pepper and stir well to combine. Simmer for 20 minutes, stirring occasionally. Stir in the sea salt at the end. In a large skillet with a lid, heat the oil, or, 2 tablespoons of vegetable broth if you don’t cook with oil, on medium heat. When the oil/broth is hot, add the onion and bell pepper and sauté until tender. Pour the 1 and ½ cups of vegetable broth over the vegetables and bring to a boil. When the broth is boiling stir in the rice, cover, and reduce the heat to simmer for the amount of time directed on the package. Usually 20 minutes. When the rice is done, remove the lid, add the spinach, and put the lid back on. Let sit for 5 minutes. Use a slotted spoon (to avoid adding extra water) to add the beans to the vegetables and rice, sprinkle on the remaining teaspoon of chili powder and ½ teaspoon of cumin and grind more sea salt and black pepper on top if desired. Fold the beans and spices into the rice and veggies until well combined. Serve with fresh cilantro and lime wedges. The nutrition calculations are only an estimate. They will change depending on whether or not you use oil or broth to sauté the vegetables, and whether your measurements are exact. 2 diabetes, a gluten free diet, add, antioxidants, b vitamins, calories, cancer, celiac, celiac disease, children, constipation, cooking, corn, cumin, diabetes, diarrhea, diet, digestion, diverticulitis, diverticulitis diet, fiber, folate, food, foods to avoid, gluten, gluten free, gluten free diet, gluten sensitivity, health, health food, healthy body weight, healthy food, heart disease, hypertension, inflammation, insulin, iron, is rice healthy, lower your triglycerides, magnesium, niacin, nutrients, nutrition, nutritional value, organic, people with diabetes, potassium, protein, recipe, reduce inflammation, selenium, spices, spinach, sugar, sugar levels, thiamine, Triglycerides, turmeric, type 2 diabetes, types of cancer, vascular disease, vegetables, vitamin, vitamin b6, vitamin e, vitamins, weight management, whole grain, whole grains, wine, zinc. Rice grown in California is also lower in arsenic. 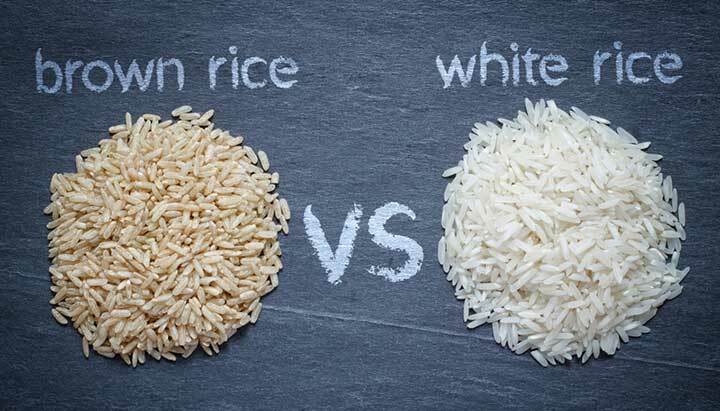 I thought you might be interested in this article on https://universityhealthnews.com: Brown Rice vs. White Rice: Which One is Healthier for You?